Loverboy is currently available to a companion home. I have decided to place my breeders and to concentrate on my Danes. Please e-mail me if you are interested in giving him a forever home! 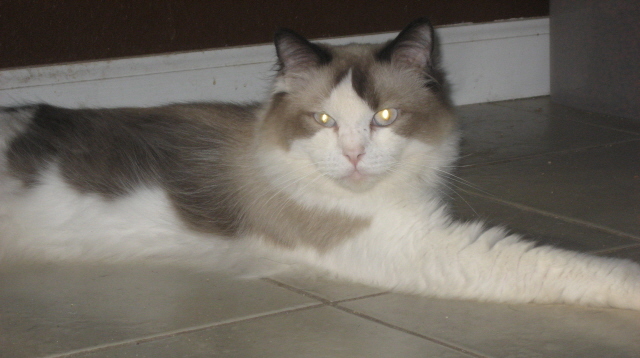 Loverboy was bred by Janet Barry of Camelot Haven Cattery. He also shares his heart with ragdolls: Secret and Dodger. and is warming up to the danes.